Looking for a beautiful wine country getaway? If you're a fan of rolling hills, gorgeous lakes, and farm-to-table cuisine, a trip to the Finger Lakes in New York is right up your alley! If you haven't heard of the Finger Lakes before, it's a big, beautiful wine region in central New York (the state, not the city). It's the American counterpart to Ontario's Prince Edward County, located across Lake Ontario. It's named the "finger" Lakes because of the group of long, skinny lakes that look like fingers on a map! We first drove through this area in 2014 and were shocked at just how beautiful it is - the rural landscape makes for the perfect summer road trip! 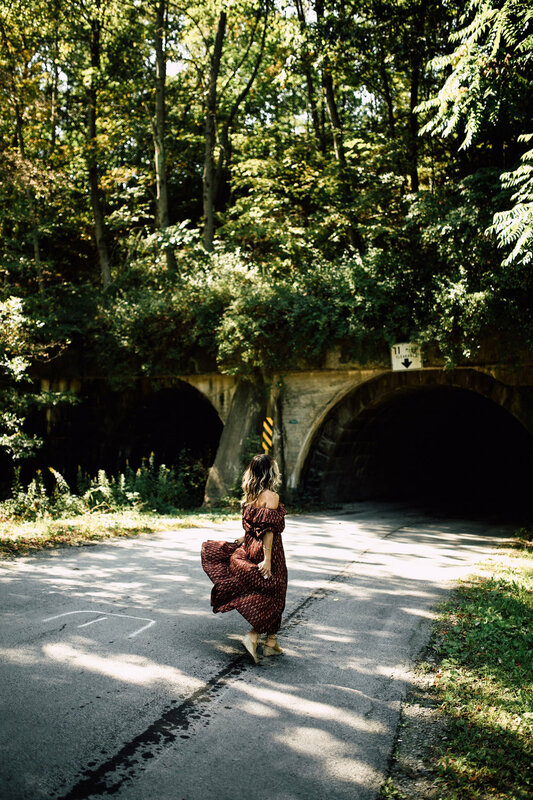 Lucky for you, there's a few options for how to travel to the Finger Lakes! We opted for the road trip option (obviously) and we drove from New York City to the Finger Lakes in about 4-5 hours, and then we flew back to the west coast out of Rochester International Airport, which is only about an hour away. A lot of visitors to the Finger Lakes drive from nearby states like Ohio and Pennsylvania, and this would be an easy road trip from Toronto too! (Passing Niagara Falls on the way). You can find out all the details about how to get to the Finger Lakes here! If you're looking for Finger Lakes accommodations, why not try glamping? We stayed at Seneca Sol Glamping off Seneca Lake, which was like camping, but nicer and way more convenient! You get a large covered tent with two beds in the woods, and a . It still has rustic charm (you are in the woods, after all) but the location is amazing! You're a short drive to wineries, breweries, restaurants, and of course - the lake! There's a common area where breakfast is served in the morning, and a shared washroom for showering and getting ready. There's also a fire pit on site, so you can sit by the fire and roast marshmallows or enjoy a glass of wine at night. You can find more places to stay in the Finger Lakes here too! Now for the most important question: what wineries should you visit in the Finger Lakes? Lucky for you, there's a lot of really great options! The Finger Lakes wine region is very quaint and local, so tastings are only about $2-5 per person and you usually don't need an appointment. Compare that to wine regions in California and you're already saving a lot of money and hassle! The Seneca Lake Wine Trail has over 30 wineries, and there's even more to explore around the neighboring lakes too. We only visited two of the Finger Lakes wineries, and they were both amazing! We did a little loop of the Seneca Lake Wine Trail, and driving on the lakeside farm roads was honestly such a relaxing way to spend our day. The first of the Finger Lakes wineries we visited was Hermann J. Weimer Vineyard, which is known for it's riesling. We learned so much about the history of the Finger Lakes' winemaking, enjoyed their amazing various rieslings, and we have to recommend the cuvée brut too! Definitely make this one of your Finger Lakes winery stops. After our winery visit, it was time for some food! We visited the Ravines Cellars winery, which also has the most stunning restaurant and tasting area called Ravinous Kitchen. 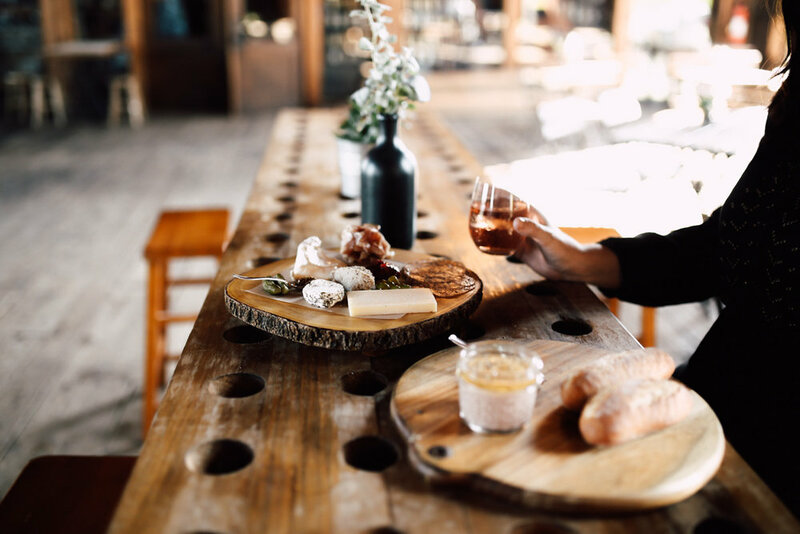 It's a "winecentric" farm-to-table eatery that creates each dish from the produce, grains, and ethically raised meats from neighboring farms, and honestly you can taste the difference! If the chicken liver parfait is on the menu when you visit - you must order it! You can thank us later. For more of the best restaurants in the Finger Lakes, you can visit their super informative website here. What we loved most about visiting the Finger Lakes is that there's actually so much more to do than just wine tasting! Not that wine tasting is something we ever get tired of, but our weekend getaway was full of other fun activities too. We highly recommend starting your wine tasting day with a morning trail ride on horseback! Don't worry if you've never been before - we are total beginners but the instructors at Painted Bar Stables put us right at ease and were super helpful. The horses are total pros so there's nothing to be nervous about, and the trail ride was so gorgeous in the morning light! Last but not least, you obviously have to enjoy the lakes while in the Finger Lakes! We had the most beautiful sunset sail along Seneca Lake, and we highly, highly recommend doing this if you visit the Finger Lakes. 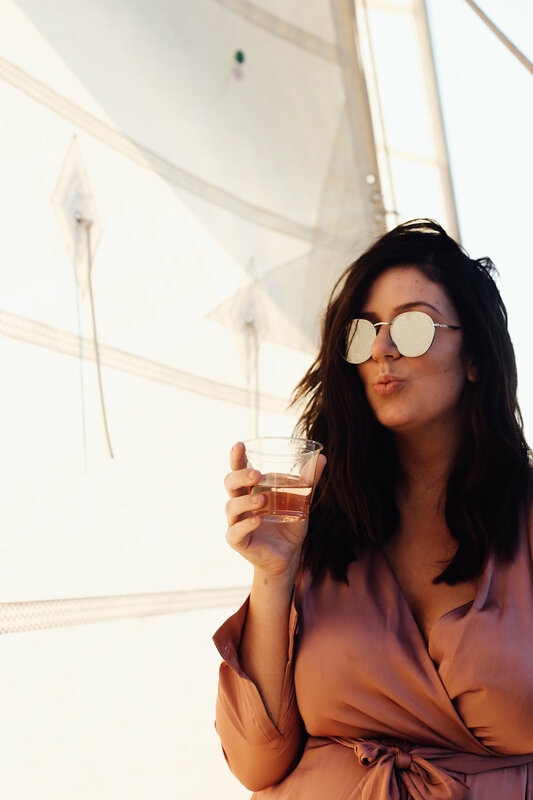 We boarded the beautiful Schooner True Love, sipped on a glass of rosé, and relaxed with the waves as the sun set. The Schooner True Love is actually the same sailboat that was featured in the film High Society with Grace Kelly and Bing Crosby, so it has a lot of history! During the sailing, the crew members passed out fruit and local cheeses (every cheese we tried in the Finger Lakes was amazing) and told us stories about the Finger Lakes settlers and indigenous people. It was the perfect ending to such a beautiful and relaxing trip! 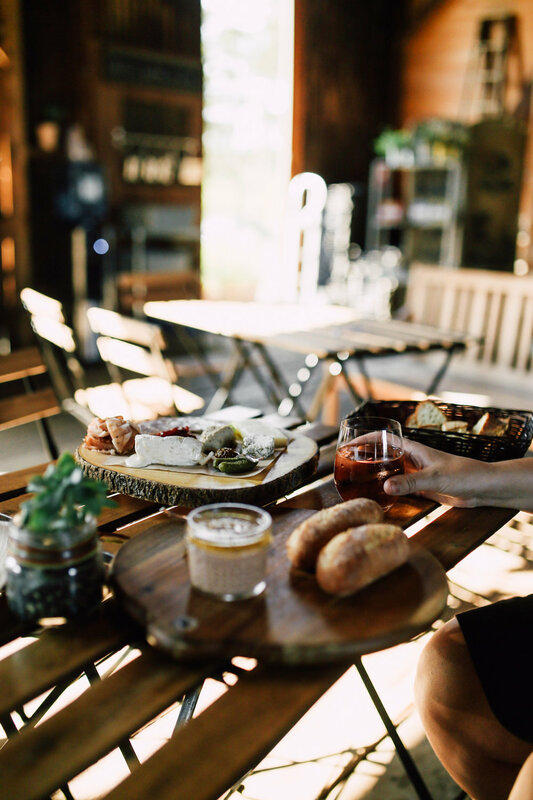 If you're thinking about heading to the Finger Lakes yourself, check out Finger Lakes Wine Country or Seneca Lake Wine Trail for a ton of resources on the best places to eat and drink in the Finger Lakes! We wish we could have stayed longer, but we know that we will definitely be back soon.